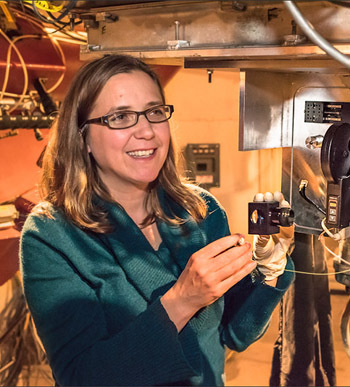 Astronomers from the University of Toronto’s Dunlap Institute for Astronomy & Astrophysics have received $23 million in new funding: $10 million for the development of a radio astronomy data centre and $13 million for a new infrared spectrograph. The awards represent a significant milestone in the Dunlap’s mandate of developing innovative astronomical technology. “The Dunlap Institute’s main mission is to develop innovative new approaches to astronomy, and these two new large grants are a terrific endorsement that we’re on the right track,” says Dunlap Director Prof. Bryan Gaensler. Gaensler, who became the Institute’s director in January 2015, will be leading a project to build the infrastructure, computing capability, and expertise needed to process the overwhelming flood of information being produced by next-generation radio telescopes. The goal is to turn raw data into images and catalogues that astronomers can use to investigate cosmic magnetism, the evolution of galaxies, cosmic explosions, and more. 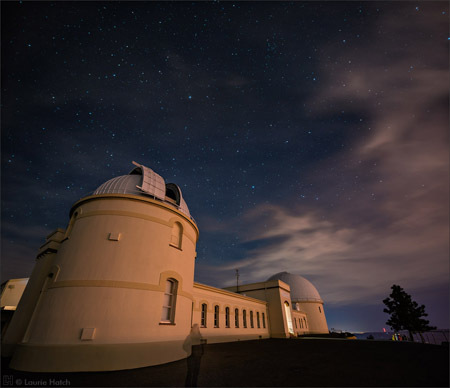 The Dunlap’s Prof. Suresh Sivanandam will develop an infrared spectrograph for the Gemini Observatory that will produce the most detailed and sensitive infrared images of the sky. With it, astronomers will be able to study some of the faintest, oldest and most distant objects in the Universe; probe the formation of stellar and planetary systems; and investigate galaxies in the early Universe. Gaensler’s project will allow Canada to play a major role in the Very Large Array Sky Survey (VLASS), an ambitious new project to make a radio map of almost the entire sky in unprecedented detail. It will also help build the Canadian capacity needed to participate in what will be the largest and most powerful radio telescope ever constructed: the Square Kilometre Array. Major partners include observatories and researchers at various universities across North America, including the US National Radio Astronomy Observatory, University of Alberta, University of Manitoba, and the National Research Council. It also includes collaborators from three significant new radio telescopes: the Canadian Hydrogen Intensity Mapping Experiment (CHIME), the Karl G. Jansky Very Large Array (VLA), and the Australian Square Kilometre Array Pathfinder (ASKAP). The Gemini InfraRed Multi-Object Spectrograph (GIRMOS) is unlike any astronomical spectrograph in existence or being planned for the current suite of large telescopes, and will serve as a precursor to a spectrograph for the Thirty-Meter Telescope, now under construction in Hawaií. The spectrograph is designed for use on the 8-metre telescopes of the Gemini Observatory, the largest telescopes available to Canadian astronomers. Major partners include Dalhousie University, the National Research Council, University of British Columbia, University of Victoria, Laval University, and Saint Mary’s University. 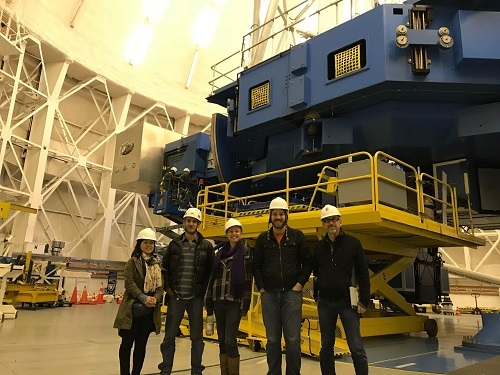 Plus, both projects provide ample opportunities for training students and postdoctoral fellows, and help position Canadian astronomers at the forefront of the next generation of astronomical discovery. For Gaensler, the awards consist of $3.5 million from CFI, and nearly $6 million from provincial and other partners. The CFI money will flow to U of T and then on to the other partners; the rest will go directly to or stay with partners. For Sivanandam, over $5 million comes from CFI, with $7.8 million from provincial and other partners. 1) In addition to those noted above, Prof. Gaensler’s project also includes the following partners: McGill University, Queen’s University, University of British Columbia, Cornell University, University of Minnesota, Netherlands Institute for Radio Astronomy, University of Cape Town, University of the Western Cape, and University of California Berkeley. 2) In addition to those partners noted above, Prof. Sivanandam’s project also includes York University and University of Manitoba. 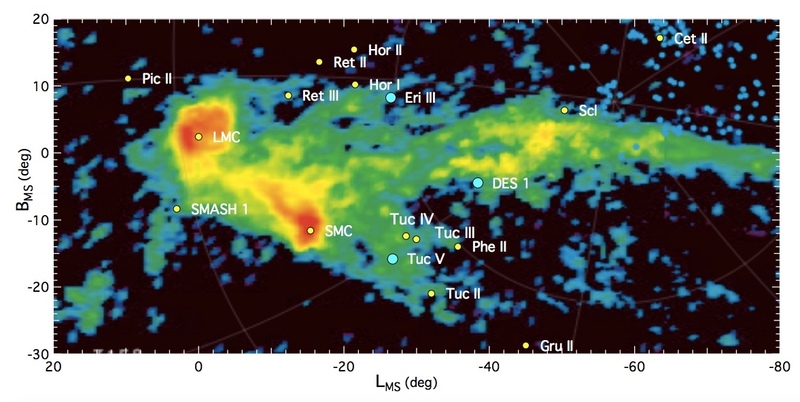 On sky distribution of all known Milky Way satellite candidates with respect to the Magellanic Clouds and the neutral hydrogen gas of the Magellanic stream. For more details we refer to Nidever et al. (2010) [No link provided]. The three candidates discussed in this study are highlighted in cyan. 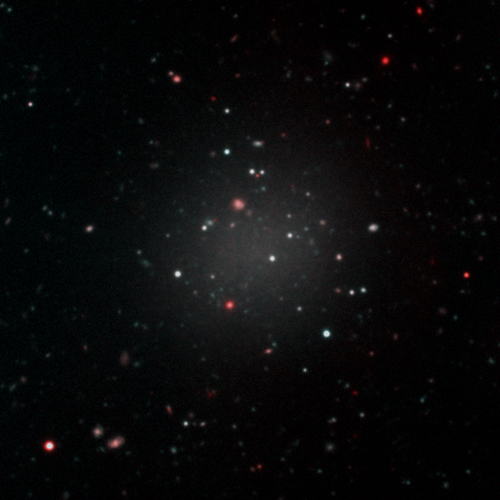 At sufficiently high redshifts, several prominent quasar emission features (white solid lines) are no longer detectable in the optical spectral range, represented here by the SDSS band that extends between approximately 0.4 micron and 1.0 micron (solid black line). For the broad Hbeta and narrow [O III] lines, that are rich in diagnostic power, this occurs above redshift 1, including the era of fast quasar growth. Our GNIRS spectroscopic survey will more than triple the observed spectral band, allowing us to observe these and other emission lines in a uniform sample of 416 SDSS quasars at redshifts between 1.5 (dashed line) and 3.5. 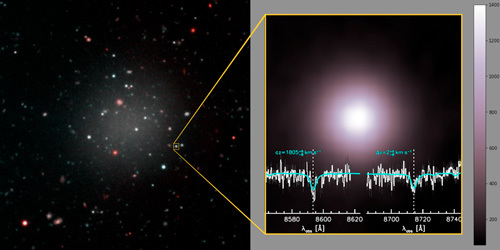 The available SDSS spectra of these sources, which cover at least the rest-frame ultraviolet C IV emission line, will enable us to establish connections between optical and ultraviolet indicators of fundamental quasar properties while more than doubling the statistics at such high redshifts. Our current understanding of supermassive black hole (SMBH) growth in the distant universe is compromised by the lack of key diagnostic rest-frame optical emission lines in quasar spectra. As a consequence, our view of how SMBHs and their host galaxies mutually coevolve during the peak of quasar activity is biased and incomplete. 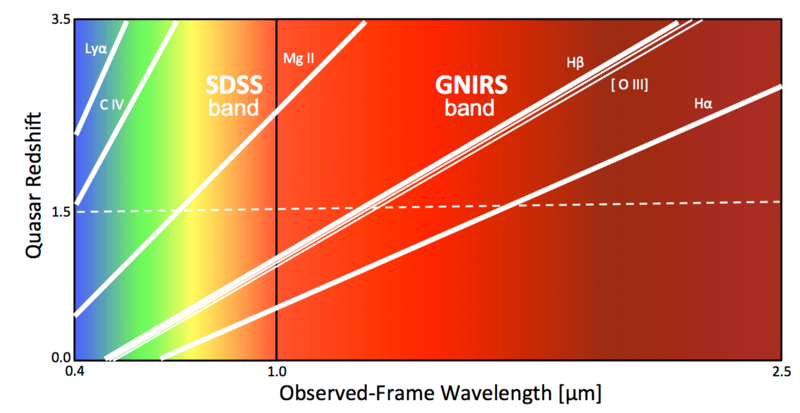 We will therefore obtain high-quality GNIRS spectroscopic observations, in the 1.0-2.5 micron band, for a uniform sample of 416 Sloan Digital Sky Survey (SDSS) quasars at redshifts between 1.5 and 3.5. This project will more than double the existing inventory of near-infrared spectra of luminous quasars at these redshifts. We will determine the most accurate and precise quasar black hole masses, accretion rates, and redshifts, and use the results to derive improved prescriptions for UV-based proxies for these parameters. We will make our data immediately available to the public, provide reduced spectra via a dedicated website, and produce a catalog of measurements and fundamental quasar properties. The improved redshifts will establish velocities of quasar outflows that interact with the host galaxies, as well as tighten measurements of small-scale quasar clustering. Furthermore, our measurements will facilitate a more complete understanding of how the rest-frame UV-optical spectral properties depend on redshift and luminosity, and test whether the physical properties of the quasar central engine evolve over cosmic time. The next generation of cosmological surveys will generate millions of optical quasar spectra, the analysis of which will greatly benefit from the prescriptions developed in this investigation, an invaluable Gemini legacy. Celebrate the Large and Long Program! is a series of blog posts which showcase the high-impact science under the Large and Long Program of Gemini Observatory. What is the Large and Long Program? The Large and Long Program (LLP) is one of five observing modes Gemini offers to users of our telescopes. These five modes categorize projects based on length and weather conditions required for the observations. Classically, Gemini accepts proposals on a six month basis and recipients awarded with observing time complete their observations within that given semester. Large and Long Programs, on the other hand, provide more flexibility for long term research and last anywhere from one to three years. This extended time frame promotes collaboration across communities and produces significant and high-impact science. Here, we ask past and present Large and Long Programs to share a little about their research and experience with Gemini Observatory. 1. Principal Investigator: Name and Affiliation? 2. How would you describe your Large and Long Program? Our Large and Long Program focuses on rapid followup of near-Earth asteroids discovered by the NEOWISE space telescope survey. NEOWISE is an all-sky thermal infrared survey, and excels at finding dark, large asteroids coming close to the Earth. But the NEOWISE survey doesn’t allow the telescope to go back and confirm its discoveries, so we need help from ground-based telescopes. The southern hemisphere has very few telescopes dedicated to NEO followup, so our LLP provides us the critical ability to track down these newly found objects. We use GMOS-South to acquire astrometry of NEO candidate objects, and thus improve the measured orbits for these objects. This data help us better predict where the object will be in the future, and if it poses a hazard to Earth. 3. Why is Gemini best suited for this research? Gemini offers us critical access to the southern hemisphere sky, and the ability to quickly take followup observations through its queue observing system. We use these features to quickly track down objects before their positional uncertainty grows too large. Gemini’s large aperture ensure that even our faintest targets can be observed in only a small amount of time. 4. What has been the best part of your experience with the Large and Long Program? The best part of our experience with the LLP has been the rapid acquisition and dissemination of our time-critical data. The end-to-end Gemini system ensures that we can submit triggers, get observations, download data from the Gemini archive, and submit measured positions to the Minor Planet Center quickly enough to ensure these newly discovered near-Earth objects are not lost. More about NEOWISE can be found here. This post is dedicated to J.G. at WPRB for his kindness to me in my hours of need. I am very grateful for his remarks today. Gemini confirms a new class of variable stars called Blue Large-Amplitude Pulsators. They are significantly bluer than main sequence stars of the same luminosity demonstrating that they are relatively hot. The new pulsating stars vary with periods ranging from 20 to 40 minutes and amplitudes spanning 0.2 – 0.4 magnitude. These characteristics have not been observed in any known hot pulsators. 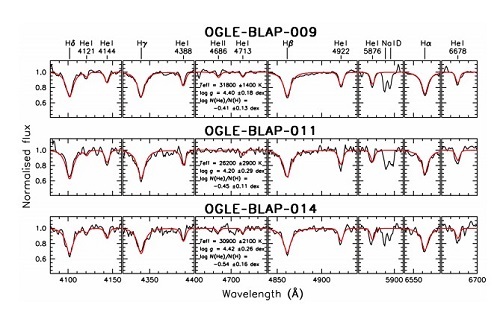 Astronomers using the Multi-Object Spectrograph (GMOS) on the Gemini South telescope have confirmed a new class of variable stars called Blue Large-Amplitude Pulsators (BLAPs). 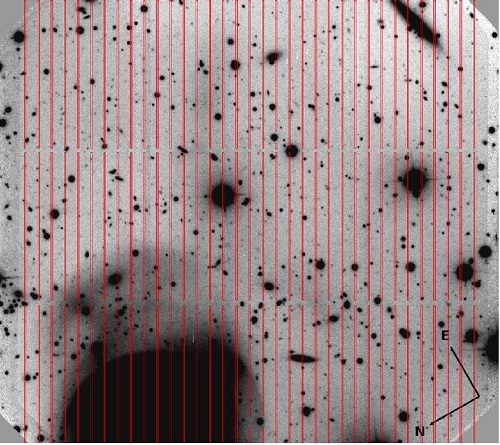 Pawel Pietrukowicz (Warsaw University Observatory, Poland) led the study as part of the Optical Gravitational Lensing Experiment (OGLE), a variability sky survey conducted on the 1.3-meter Warsaw Telescope at Las Campanas Observatory, Chile. Following up on the team’s discovery of 14 candidate stars the team used GMOS to obtain spectra for three of the candidates. The Gemini data confirmed these stars have helium-rich atmospheres and high surface temperatures of about 30,000 K, comparable with hot subdwarfs. Nevertheless, Pietrukowicz concludes that the luminosity of these two classes of hot stars differ significantly, with BLAPs having much higher luminosity and much lower gravity than hot subdwarfs. 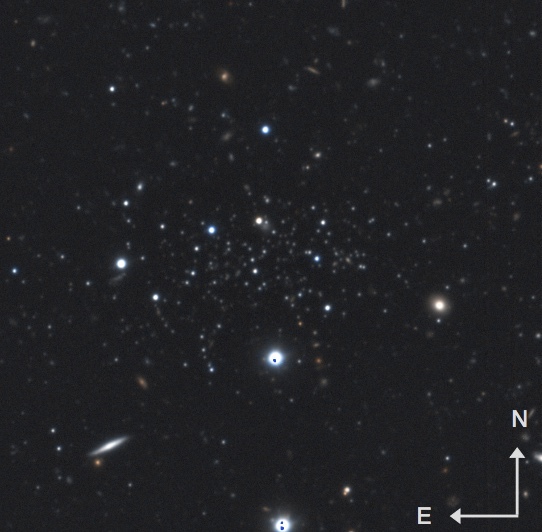 “We found that the new stars are low-mass giants, which vary with exceptionally high amplitudes. This excludes the possibility that they are hot oscillating subdwarfs, leading to the conclusion that BLAPs form a new class of variable stars,” says Pietrukowicz. 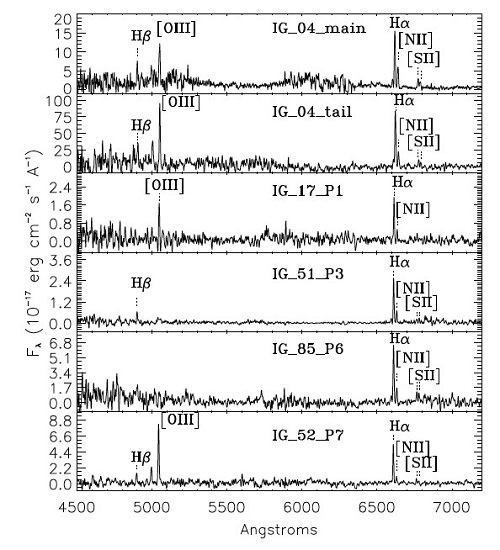 This work is published in the journal Nature Astronomy. The article is also on astro-ph with a .pdf.